Since Monday, when the word got out that Norma Gaeta, the owner and the soul of the Sentimental Stitches at 181 Main Street in Cold Spring Harbor, NY, decided to close down the store, the bell at the entrance rings non-stop as the customers come in numbers to stock up on the high quality fabrics and supplies carried by the store and, more importantly, to say good-bye and to express thanks to Norma. Many tears are shed. Customers reminisce about the time spent there. Arlene Kuchcicki, customer and quilting student, said: "I used to look forward to Saturday morning classes". She enjoyed them so much she "promoted them as much as possible". Another customer remembered how she started visiting the store with her mother as a young girl. This is an end of an era to many Long Island quilters who depended on the store for interesting and reliable materials, quilting, embroidery, needlepoint, applique classes, and down-to-earth advice in all matters of textiles. Norma started her quilting education at the very place. The store used to be run by Norma's mentor, Marion Adams, the founder of the quilting group at the Huntington Historical Society. Norma eventually bought the business and, with time, expanded the location to include an adjoining room. She started with 1 assistant and worked 6 days a week, never on Sunday. Many other assistants and teachers joined her at various times; she appreciated their help greatly. Eventually Norma scaled down her presence at the store to 3 days a week. She taught mostly beginner classes, where she made her students hand quilt one block per week, telling them that this would probably be the only thing they had ever done entirely by hand, but she considered the experience well worth the time and effort. 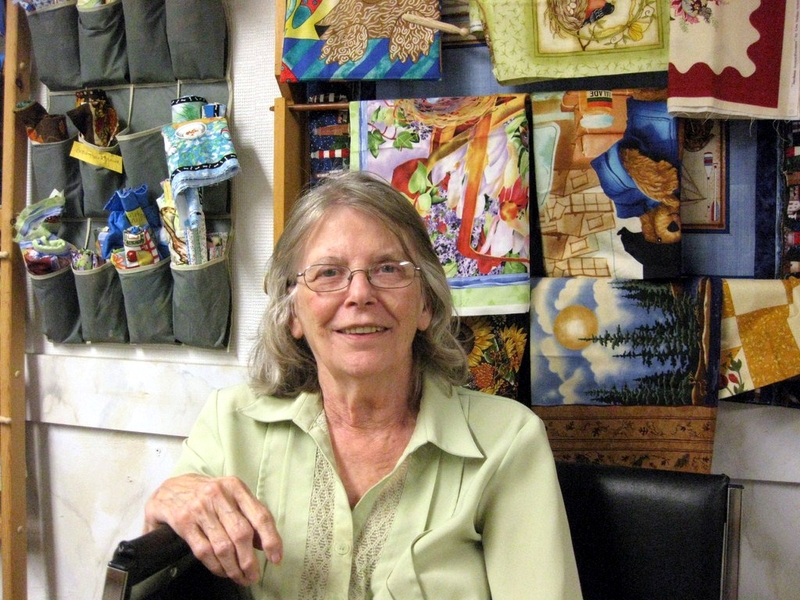 She would take a budding quilter on a quest to create the first quilt. They both would walk through the store until the person found a fabric she/he absolutely loved. All other colors and design would slowly fall in. In her own work, Normal preferred traditional quilts over wall hangings. She had done numerous pieces which she bestowed on her family members at momentous times. She had enjoyed embroidery which she had learned from her mother, who also taught her knitting and crocheting. 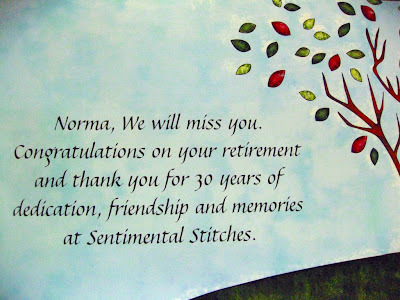 An autumn person, Norma is looking forward to allowing herself extended trips to Vermont during the foliage season and she will keep on quilting.